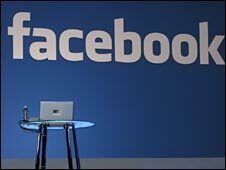 The researchers of Cambridge University put photos 16 popular websites including facebook and noted the web address of those images where is was stored. Then they deleted all the photos and again checked the direct link of that addresses. The deleted photos from facebook was stored in the server side of the facebook. But facebook says 'the deleted photos are deleted immediately from server'. The researchers said the special photo sharing sites such as Flicker, Google's Picasa and Microsoft's Window live spaces removed the photos insantly. But facebook didnt deleted any of the photos even after photos deleted from the user side. It shows facebook never erased the user-deleted data. Zack Whittaker, the british student did a research about this and it revealded that facebook still continues to keep the contents of the user deleted. After done his experiment he concluded the following points. Facebook sees this post, isn’t happy, trundles through my account and manually deletes any copy of the above content. I wouldn’t be surprised, actually, but I have a backup plan. The same experiment was done yet again - including video and links but using a friend of mine’s account, stored offline and not to be published - which corroborates this story should Facebook pull the plug. Say in a week or a months time, the links remain live and proves that the content doesn’t get deleted.